MENLO PARK, Calif., October 19, 2018	(Newswire.com) – 13-year-old racing phenom Jesse Love of Menlo Park, California has won his second straight 51Fifty Junior Late Model track championship at Madera Speedway in Madera, California. Love finished in the top three seven times in nine races, including four wins to capture the championship. He has also competed in three races in the Pro Late Model division and recently finished third in the RPM Mortgage $10,000 Short Track Shootout race at Madera Speedway against some of the top Late Model drivers on the west coast. Last year’s championship made him the youngest stock car series champion in the nation at age 12. In 2018 at age 13, he became the youngest racer in U.S. History to win a full-size midget feature race. He is not unaware of his unusually rapid progression, but he tries not to focus on it, instead choosing to focus on how fortunate he is to have the opportunities he’s been given, and on the work that it takes to succeed. Jesse will be at Las Vegas Motor Speedway on the road course this weekend competing in the US Legend Cars International Road Race Championships against the toughest racers from across the world in this division. He is excited about the opportunity. 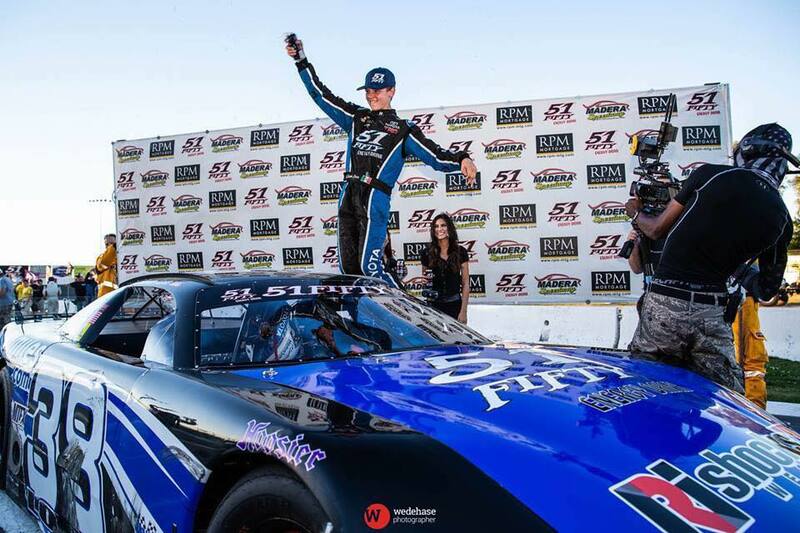 Jesse Love is a Toyota Racing Development driver and receives primary sponsorship from 51Fifty Energy Drink. Love works with Race Face Brand Development and Rainer Racing Development. You can learn more about Jesse Love by visiting his website at www.jesseloveracing.com. Follow him on Facebook, Twitter, and Instagram by searching @JesseLoveRacing.